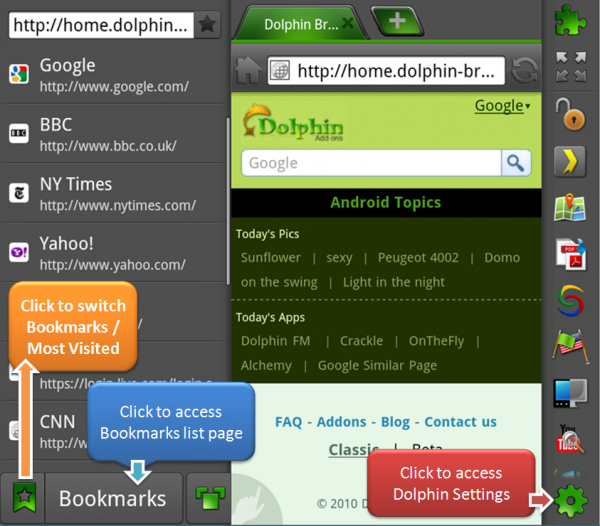 The Dolphin Browser HD hopped up to version 4.0 and is available in the market for free. The screenshot above details some of the changes that were made to improve the overall experience in this top notch browser. You will find new settings and bookmarks shortcuts if you swipe from the left or right. Nice additions, indeed. Fix swipe action issue – side bar is too easy to slide out. Fix drag down window issue – cannot click the links on the top of the page. Add Page Management feature to address bar. Fix some tiny bugs which are supported by you. Any big Dolphin fans in the audience? Samsung Nexus Two Announced on the 8th or Not? Maybe Just Continuum?